Rohit is a Digital Marketing Transformation Sherpa, Chief Marketing Technologist. Rohit has extensive experience in Technology with strong passion for Marketing & Sales. Rohit lives on the cross-roads of Tech, Marketing & Sales. As per Rohit he thinks like a Marketer, plan like a Techie and execute like a Business (Sales) leader. Because he has a unique combination of over 15 years of expereince in Technology, Sales and Marketing. 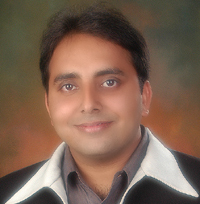 Rohit has directed cross-functional teams and organizations. Owned P&L for all the engagements. International background and known for expertise in offshore delivery model and outsourcing. He also has strong communication, collaboration and presentation skills at all levels including CXO. Responsible for setting the strategic direction for mckesson.com and other digital properties. This includes creating the strategic direction, socializing the strategic direction both within and with our business units. This role is also responsible for ensuring that our websites meet the highest of usability standards and continue to provide tools and services that are easy for our members to use. Chief Marketing Technologist: Lead the global marketing technology landscape and provides thought leadership, vision and strategy to enable McKesson marketing objectives. Collaborate on Marketing Automation with all the McKesson Business Units. Drive both enterprise and tactical marketing technologies & capabilities across web, mobile, social, CRM, eCommerce & Analytics to enable McK’s brands get ahead of the curve and deliver the most optimized and relevant consumer experience. Manage all digital agency relationships. The role is also responsible for researching, understanding and communicating the needs of both our customers and BU throughout the entire organization, influencing project and portfolio decisions for this channel and leading the company’s web strategy and execution. Chief Marketing Technologist: Responsible for implementing mckesson.com technology roadmap and best of breed digital marketing technologies, and leveraging digital channels to dynamically target customers. It’s really nice to meet you. It such nice blog. Hello Sir,It’s really nice to meet you. It such nice blog.